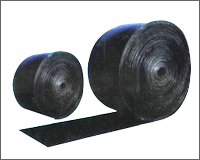 Rubber Conveyor belts consist with a continuous loop of two or more pulleys or rollers to rotate them. The Rubber conveyor belts are used to convey items with irregular base or bags of product that would droop between rollers. The conveyor belt consists of two or more layer which is made up of rubber. Many belts in general material handling have two types of layers. First one is the under layer of material which is to provide linear strength and shape called a carcass and other one is an over layer called the cover. The carcass is often a cotton or plastic web or mesh and the cover is made up of various rubber, plastic, silicone compounds considering by use of the belt. Rubber Belt conveyors are the mostly used as powered conveyors because they are versatile and less expensive. 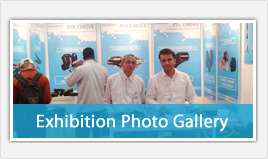 We are one of the leading conveyor belt manufacturers, suppliers and exporters at Mumbai, India.